Celebrate our local authors and artists as they take to the stage and speak out against censorship. Bring something to read (an excerpt from a banned book, maybe?) or something to play (protest songs seem appropriate, yes?) 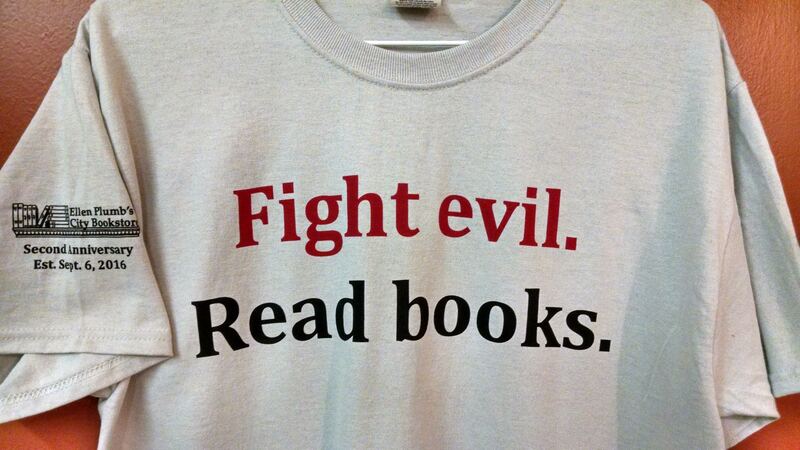 and join Ellen Plumb’s City Bookstore as we take a stand against censorship. We’ll be posting video, Facebook LIVE, as we celebrate Banned Books Week.